Maintenance, repair and overhaul services for transport military. on military and civilian rotary wing aircraft. Situated within the core of the Ekurhuleni Aerotropolis in the Gauteng Province, Denel Aeronautics’ Aerostructure Manufacturing world-class facility specialises in advanced manufacturing of complex aerostructures, making us a recognised leader in the aerospace industry. Our corporation’s history dates back to 1964 when Atlas Aircraft Corporation was formed primarily to manufacture military aircraft and various avionic systems for the South African Air Force (SAAF). Atlas was brought under the control of Armaments Corporation of South Africa (Armscor) in 1968. 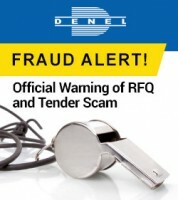 It was incorporated into Denel (PTY) Ltd in 1992 and became Denel Aviation. In 2006 the division was split, with Denel Aerostructures becoming the manufacturing division and Denel Aviation specialising in aircraft servicing and maintenance. 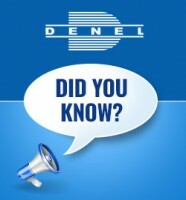 In 2017 the two divisions were merged into a single entity now known as Denel Aeronautics. Denel Aeronautics is the original equipment manufacturer for the Rooivalk Combat Support Helicopter, Design Authority for the Oryx Medium Transport Helicopter and the Cheetah Multirole Fighter aircraft. Denel Aeronautics delivers complete aviation solutions including maintenance, repair and overhaul (MRO) upgrades and system integration solutions, with innovation, quality and value added services, through worldwide partnerships.